I have been exposed to Bihari food from my childhood. The rickshaw puller who used to take me to school used to share his sattu gola with me, and I still remember the taste. During my college days in Banaras and subsequent working years in Jamshedpur, I always enjoyed the cuisine. The littis, dhuskas, samosas and lavanglatas, as well as the signature mutton curry, were all my favourites. 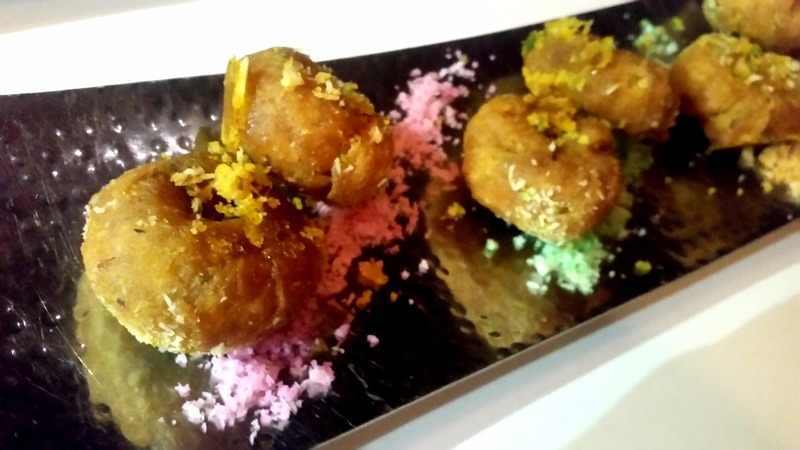 Hyderabad is recently waking up to regional cuisines from all over India. Last year at Marriott, we had an Assamese and a Himachali food fest whereas The Park hosted the first Odia promotion. 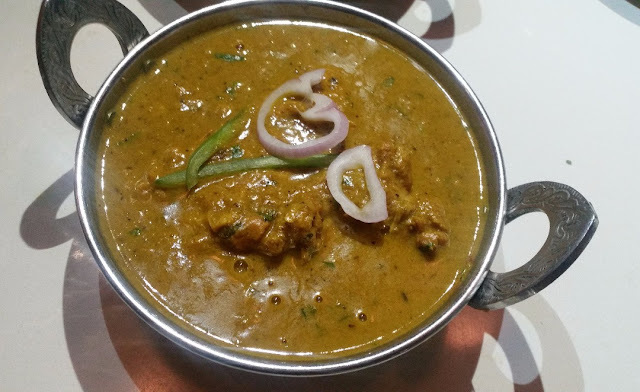 Odia and Goan restaurants have made their debut in the newer parts of the town. Against this backdrop, we now have a promotion celebrating Bihari cuisine at Ohri’s Tansen. Corporate Chef Amey Marathe, who shares my love for Bihari cuisine stemming from his school days in Netarhat, deserves the credit for conceiving the festival. The festival is a-la-carte with a range of signature dishes from the state. 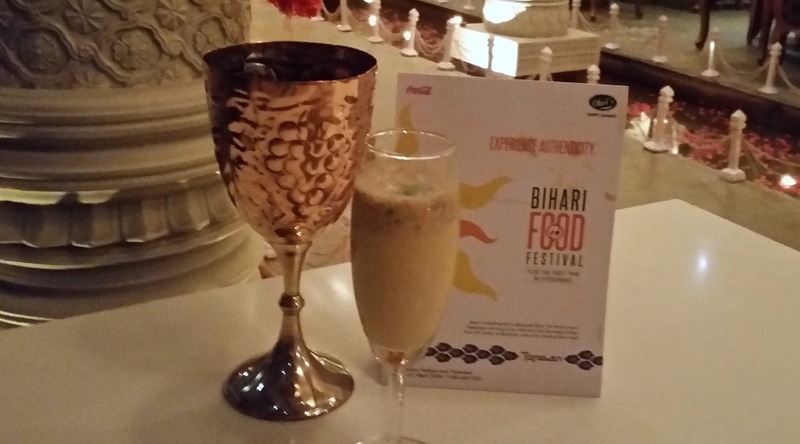 At a preview session, we were welcomed with Sattu Ki Thandai, a thick drink made of powdered Bengal gram and onions. An apt drink for the hot summer it cools the body as well as provides with the requisite protein. The drink was very well made, and I was tempted to go for a repeat but restrained myself looking at the long menu ahead. 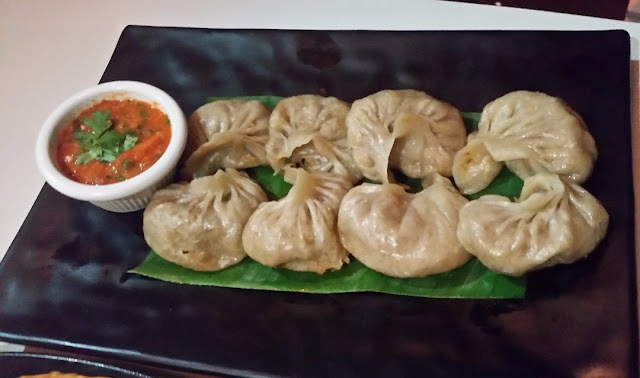 Litti Chokha is perhaps the best-known food from Bihar. 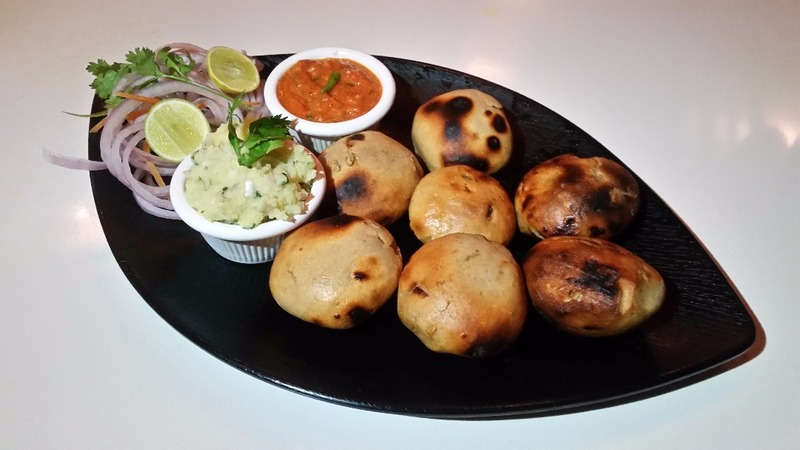 Littis are round dough balls stuffed with sattu (which features prominently in many Bihari dishes) which are either roasted or deep fried. While litti doused in ghee is usually eaten with mashed veggies or chokha (potato, brinjal or tomato are the common chokhas, mashed in mustard oil, green chilli pods and diced onions), it can be even eaten with mutton curry or stuffed with keema added to sattu. Here litti was served with onions, alu as well as tomato chokha. It was a perfect starter to begin the meal, albeit a bit heavy. The second snack was Nimki the usual savoury served at tea time. The crispy nimkis served here were the bigger sized ones (not the small or kucho nimkis as we call them in Bengal). They were served with some delightful chutney, though I really missed my glass of tea. 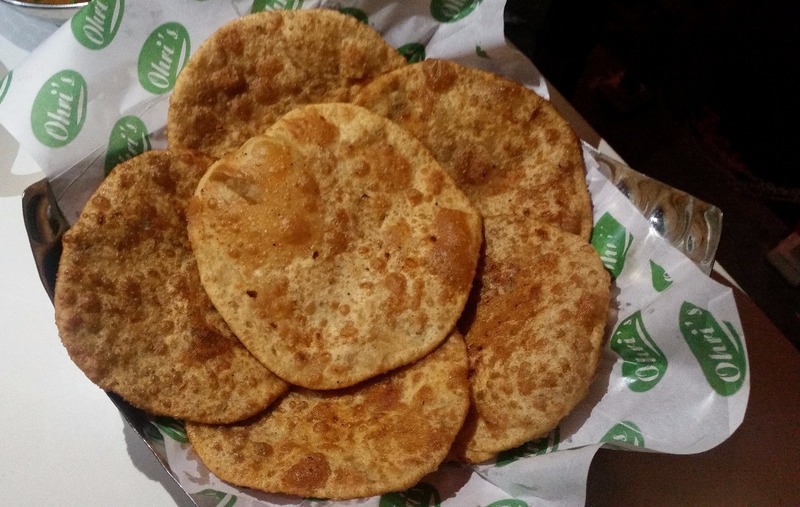 Dal Pitha was the third snack, the Bihari version of the rice flour dumplings. 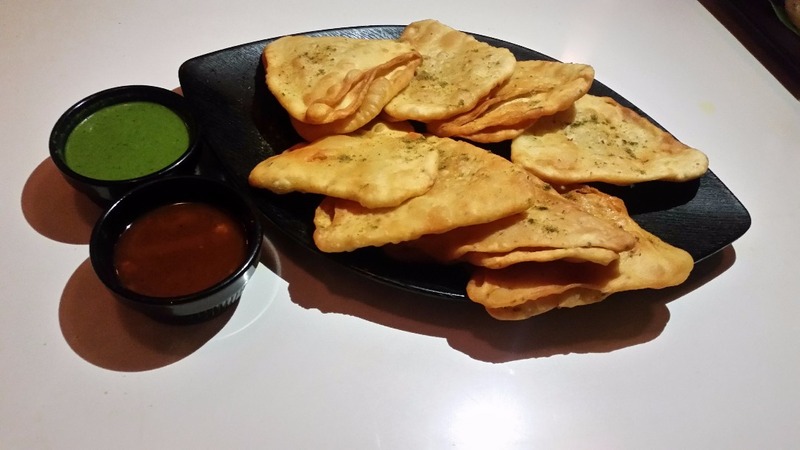 The dal pithas here were shaped like Nepali momos. It must be mentioned that the cuisines of neighbouring Madhesis in Nepal and Bihar are strikingly similar. Dal Poori with Alu Dam was the next combo I tried. The poories were stuffed with dal and deep fried. 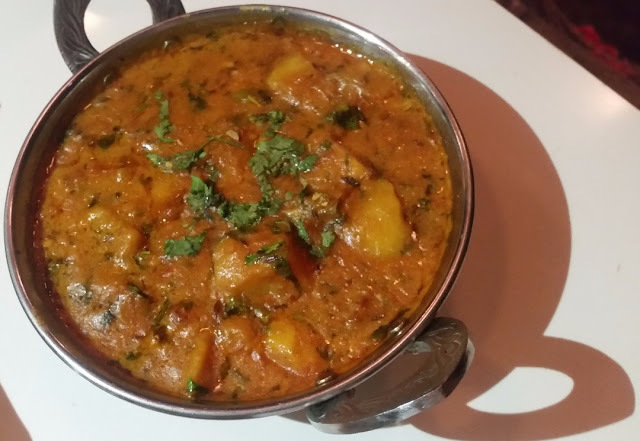 The Alu Dam gravy with turmeric dominated masala and ajwain tasted really good. Papda ki Sabji was another speciality on offer. These are cakes made of besan batter, which are cut into cubes (a tad similar to dhoka in Bengali cuisine) and then cooked in a rich gravy. The papda soaks in the gravy giving it a delightful taste. The Ajwaini Methi Parathas were a perfect foil for this dish. As I mentioned earlier, the red meat preparations in Bihar are perhaps one of the best in India. 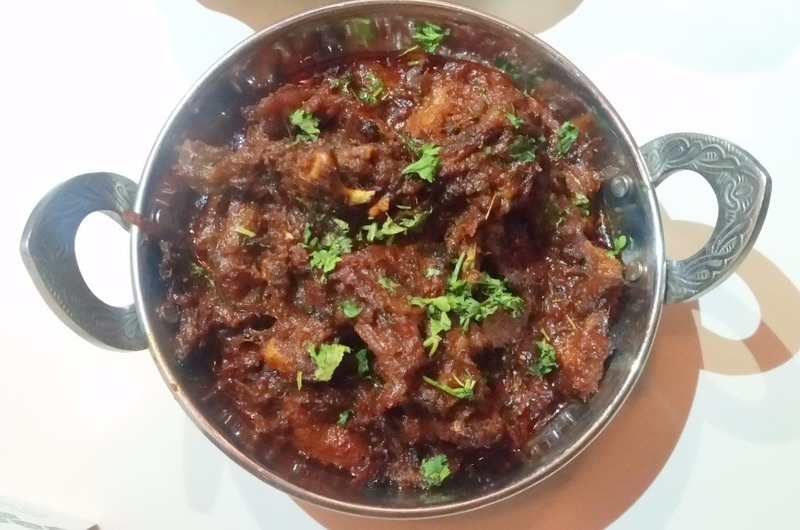 Be it the kababs at Patna or Jamshedpur (I still remember a kababi in Sakchi Jamshedpur who used to serve real deal beef and Khiri kababs) or the traditional mutton curry at Bihari homes with poories, they are always top notch. Here the dish served was Bhuna Gosht, sautéed meat in masala with a lot of onions. The dish was one of the best for the day, again going well with the parathas. 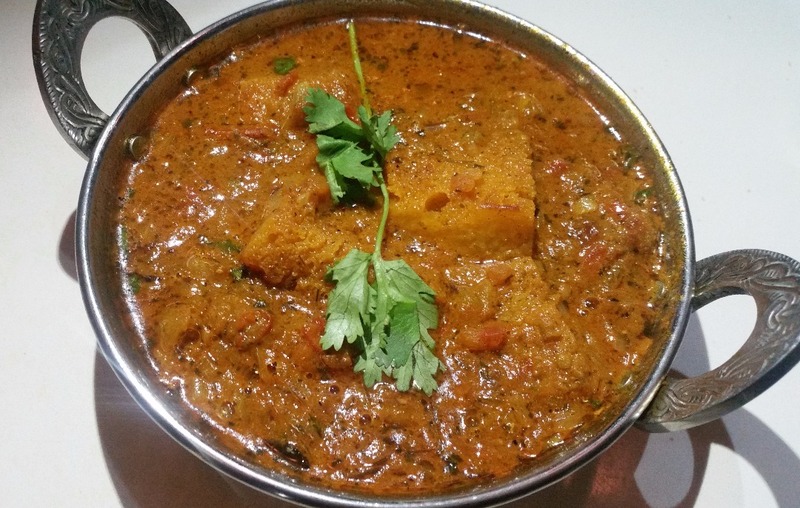 The Chicken Curry was a traditional dish to be eaten with rice, a more of a comfort dish. For desserts, Malpua with Rabri and Balushahi was served. Malpua was plated nicely, though I personally like the traditional round look. The sugar soaked Balushahis were soft. I missed the Pantuas and Lavang Latas, but I am sure these will be showcased in the upcoming editions of the festival. A huge thumbs up to Chef Amey and his team. 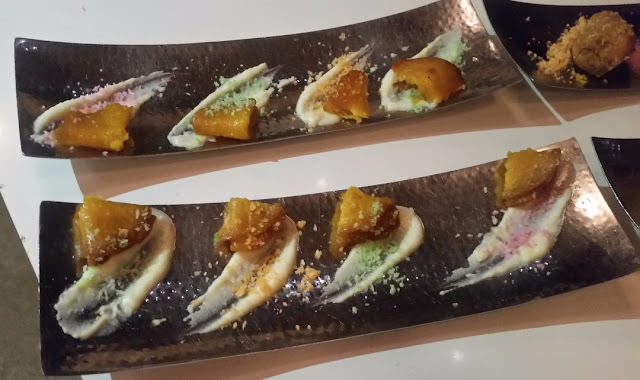 Like Chef Yogender Pal of Marriott, he has thought out of the box and brought us a cuisine which is extremely underrepresented in the restaurant world. I would recommend this festival to those who love to try out new cuisines. And guys like us can hopefully soon expect festivals of other less popular cuisines like Garhwali and Naga food in Hyderabad. The promotion is on until the end of May.